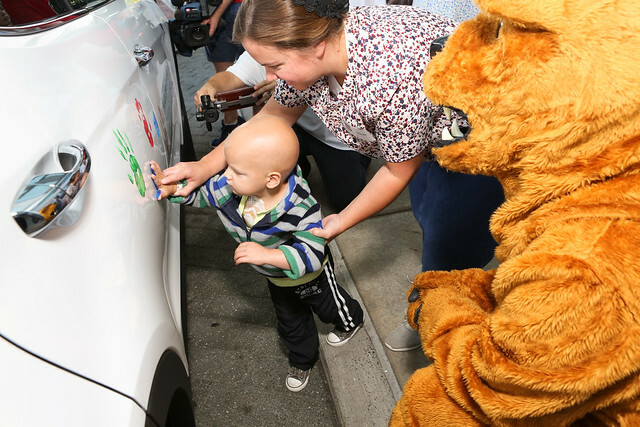 Two cancer researchers at Penn State Children&apos;s Hospital have been awarded grants through the Hyundai Hope On Wheels program. At a ceremony this week, Dr. Barbara Miller was presented with a $250,000 Hyundai Scholar Hope Grant and Dr. Chandrika Gowda received a $150,000 Hyundai Young Investigator Grant. 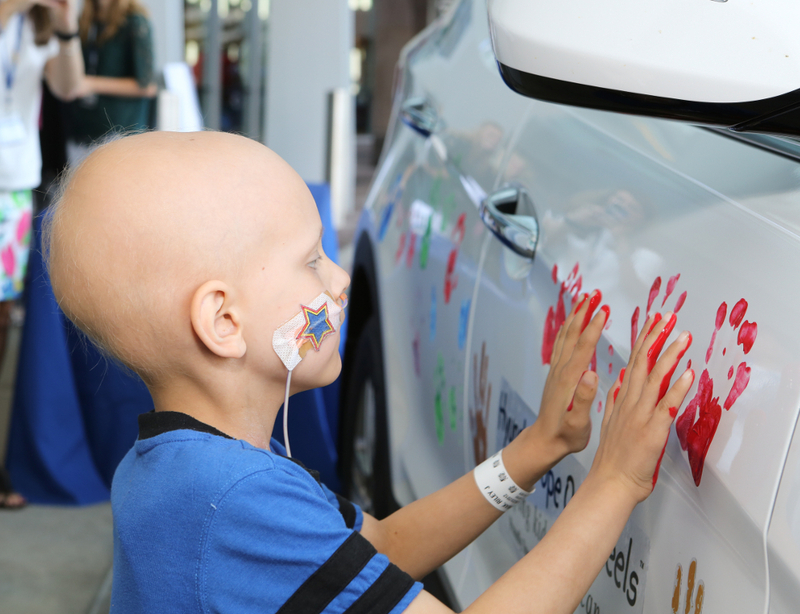 Following a check presentation, a handprint ceremony was held in which children battling cancer dipped their hands in paint and placed them on a white 2017 Hyundai Santa Fe. By the end, the car was covered in an array of colorful handprints. This event, held in conjunction with National Childhood Cancer Awareness Month, marked two of the 40 research grants totaling $8.5 million that Hope On Wheels is awarding nationwide. In all, the organization has donated $130 million to the fight against pediatric cancer since 1998. With the latest grant, Hope On Wheels has awarded more than $1.6 million to Penn State Children&apos;s Hospital to support research for better treatments and cures for childhood cancer. More information about Hope On Wheels – including a full list of this year&apos;s grant winners – can be found here.